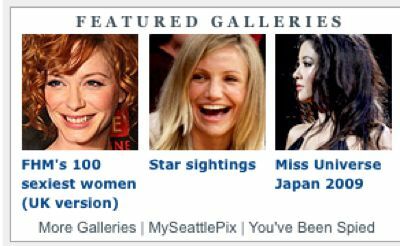 During my last year at the Seattle Post-Intelligencer, in its last year as a newspaper, I published online thousands of pictures of half-starved, mostly naked women — celebrities and fashion models. I even became so deranged as to argue vehemently in the newsroom that those photos were necessary because we were a dying industry and people wanted to look at those women, so get on board. Now I am unemployed, living off my wife and the state, applying for jobs I don’t want because they are not the job I had, before it became so trashy. I get up early still, help my wife off to work and my kid off to school, do a round of dishes and tell myself it’ll be all right. But, it is hard not to panic when you are unemployed. Maybe I should have taken the pay cut and joined the online-only P-I, made more galleries of women. Maybe I sold them short and was too Pollyannaish about my future. Maybe I got too high-minded, and maybe writing novels isn’t any better. I, like most bloggers and formerly employed journalists, am now writing for free, and that is not a sustainable social model for finding, investigating and sharing information about the powerful, the greedy and the downtrodden. Unless local users conscientiously seek and support local substantive journalism with money, real local news will continue to be spotty at best, barely afloat in a sea of nearly-naked celebs.